Every beautiful, healthy smile is built upon a strong foundation of preventive dentistry, because at Corbin Family Dental Care, we believe the best kind of dental problem is the one that never develops in the first place! 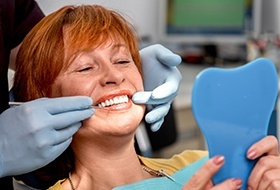 With twice-yearly checkups, cleanings, and the other services detailed below, we can make sure you and your loved ones avoid pesky dental problems and the need for more extensive treatments over time. If it’s been more than 6 months since you or your child’s last dental appointment, be sure to contact us today to schedule one! 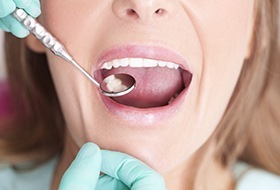 Why Choose Corbin Family Dental Care for Preventive Dentistry? A standard preventive appointment will consist of two of the most effective services we provide every day. A checkup, otherwise known as an oral exam, gives Dr. Whitaker the chance to learn everything she can about a patient’s dental health so she can design a personalized treatment plan to address any problems and ensure they enjoy a beautiful smile for life. And with a dental cleaning, one of our hygienists will expertly remove hard-to-reach plaque and tartar deposits to prevent cavities and help the teeth maintain their white sheen. 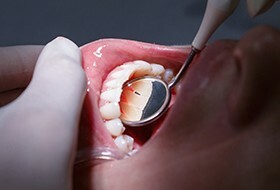 We don’t just take care of our patients’ teeth, but their gums as well! Without regular care, the gums can develop an infection called periodontal disease, which is actually the number 1 cause of adult tooth loss in the U.S. With dedicated periodontal screenings and focused therapies, we can make sure a patient’s entire smile stays healthy year after year. With a dental sealant, we can place a thin, invisible barrier over a tooth in order to protect it from cavity-causing factors such as plaque, bacteria, and acids. We simply apply a clear, BPA-free plastic-based substance to a tooth, and it quickly hardens into place. We mostly use them on the back teeth, as these can be harder to clean while brushing (especially for young children who are still learning how). However, there is no wrong age for sealants. Adults can benefit from this preventive service as well. Do you consistently wake up with a sore jaw or headaches? Do your teeth look like they’ve been worn down flat? If so, then you may be experiencing bruxism, or unconscious teeth grinding while you sleep. This is a very common problem, and it can easily cause dental sensitivity, cracked teeth, and even chronic facial pain if left untreated. 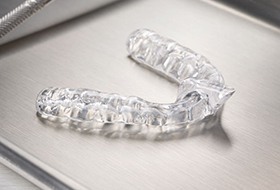 To combat this sneaky problem, Dr. Whitaker can have a patient wear a customized nightguard to bed, which is a small oral appliance that places a physical barrier between the teeth to keep them safe during the night. Oral cancer claims at least one life each and every hour around the world, but the disease is actually very treatable when detected early. However, its initial signs can be very easy to miss. Because of this, Dr. Whitaker and our team perform a complete oral cancer screening as part of every checkup to prevent our patients from being caught off guard by this disease. By applying a highly-concentrated fluoride solution to the teeth for just a minute, we can significantly lower a person’s chances of developing tooth decay and cavities over time. 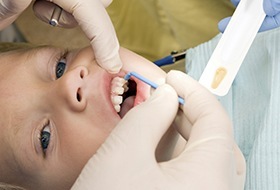 These treatments are quick, painless, and they’re especially helpful for children’s growing smiles. At Corbin Family Dental Care, we just love welcoming Corbin’s littlest smiles to our practice. Dr. Whitaker is a mother of two, and many of our staff members are also parents, so we’ll know just how to help your child feel comfortable while we provide the services their growing smile needs. We’ll even take time during their appointments to educate them on the basics of dental care to make your job at home a little easier!